Some years ago I was discussing with John Pitman of Droylsden the history of the surviving wooden maintenance boats that had been operated on the Ashton, Macclesfield and Peak Forest Canals by British Waterways, and its railway predecessors, The London North Eastern Railway, Great Central Railway, and Manchester Sheffield and Lincolnshire Railway. 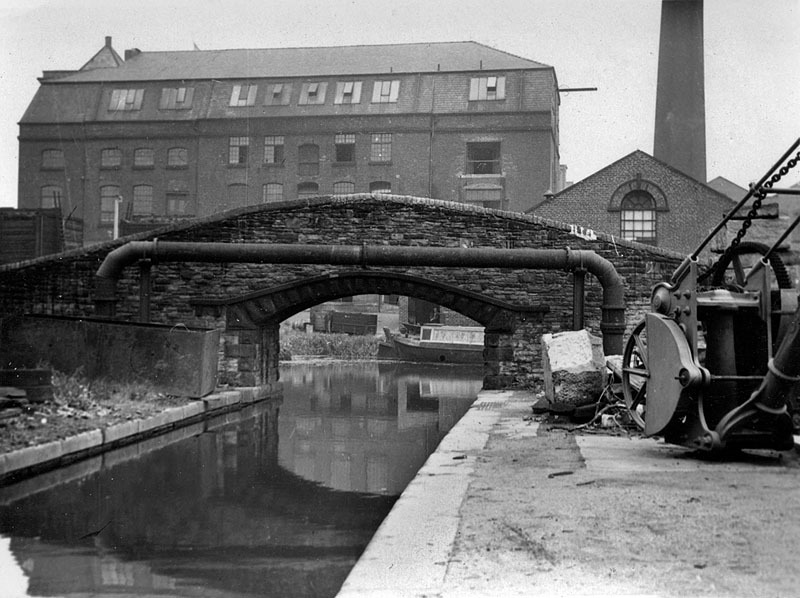 Several had lasted until the 1960's/70's and the Joel and Maria can still be seen on the Ashton Canal at the Ashton Canal Carriers yard at Guide Bridge. John has always been keen on recording the history of working boats and he sent me a list of his findings after several years of research. 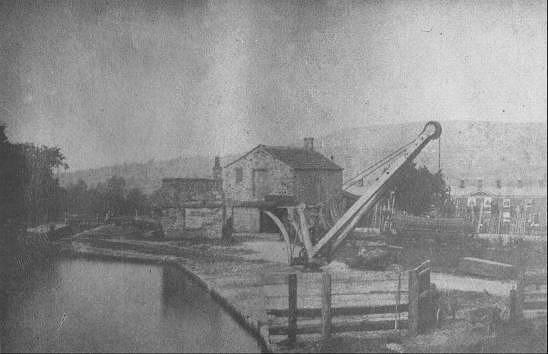 I thought that this would be of interest, particularly to those who remember those sunken maintenance boats along the Macclesfield Canal and at Marple and Whaley Bridge. 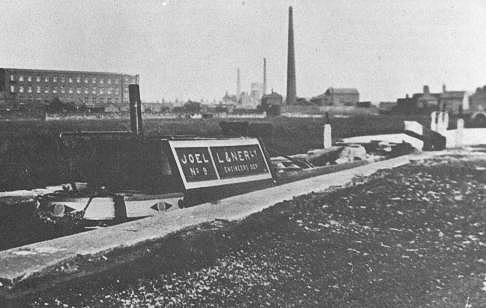 Maintenance of the Company's boats was undertaken at Gorton "Tank" which was located on the Stockport Branch of the Ashton Canal close to the junction with the main line. This photograph shows the entrance to the dock and maintenance yard in 1950. 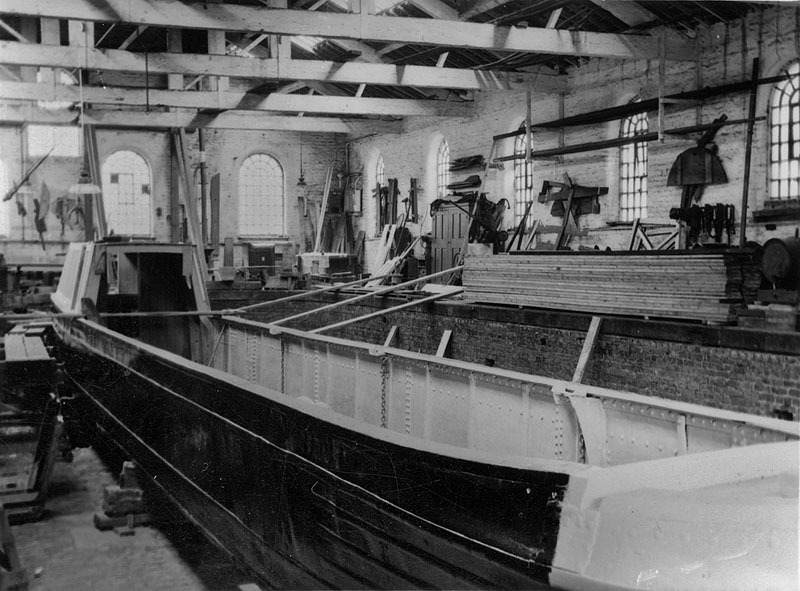 Inside the drydock at Gorton c1950. A motor maintenance boat is undergoing a major refit. This could be the ex Fellows Morton and Clayton former steamer President. (Built) 7/1854 4 Maria M/cr 316 At Crusher - Bugsworth. 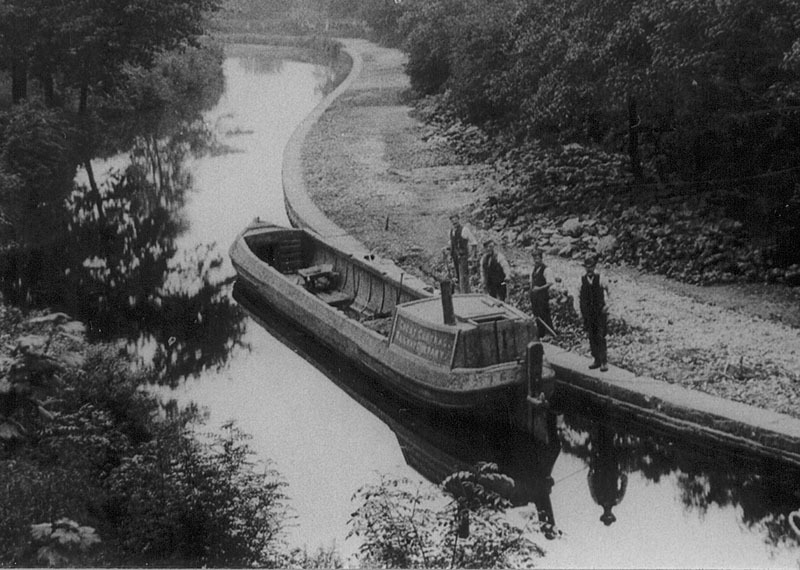 According to the boat book the original Maria was replaced in 1915 by a new boat built at Jinks' yard at Marple. These were all wooden boats except for President, Scythia and possibly Wanderer, many lasted until well after the Second World War and yet few photographs survive. 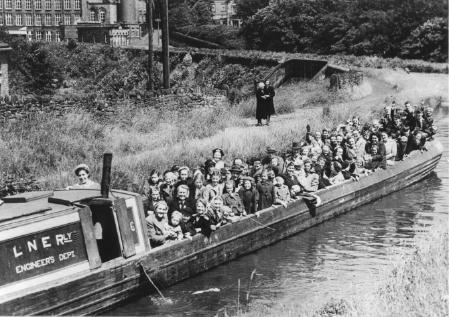 If you have any old photographs of maintenance boats on the Macclesfield and adjacent canals I would be very grateful to receive copies or the opportunity to make copies. Can anyone add to this information? I would welcome any further details that you may be able to supply on any maintenance boat on the Ashton, Peak and Macclesfield canals or the history of traffic and trade on these waterways. If you can help please let me know.